JULY 2018 IJAFA BAD SIXAKO NE GRADE PAY MUJAB VADHATA PAGAR NU TABLE. 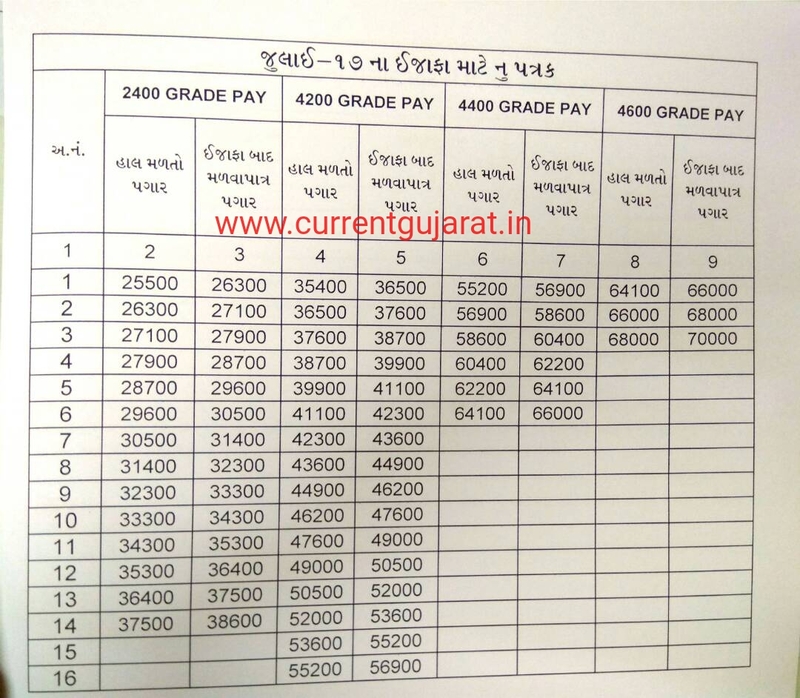 JULY 2018 IJAFA BAD SIXAKO NE GRADE PAY MUJAB VADHATA PAGAR NU TABLE -By visiting Current Gujarat blog you can stay connected with govt. job updates, sarkari naukari and other private jobs in Gujarat. You can also get current affairs, study material for competitive exams in Gujarati and General knowledge (GK in Gujarati).